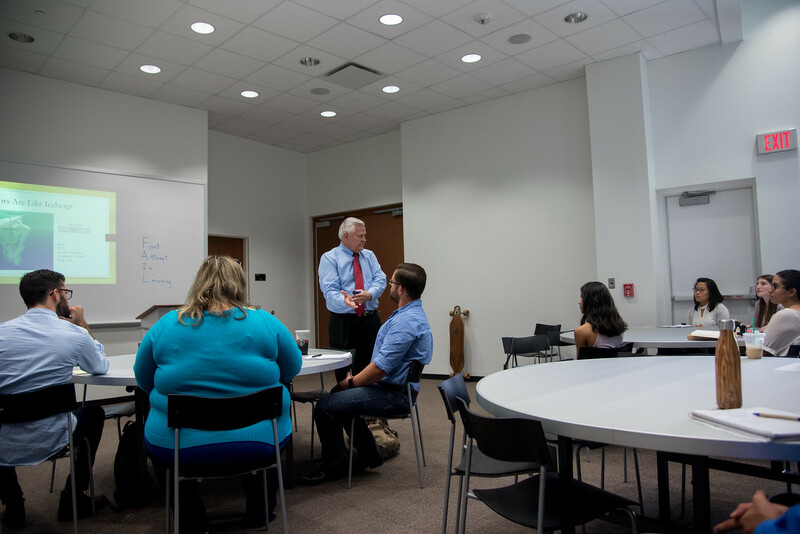 CORPUS CHRISTI, Texas – Leadership skills training is becoming increasingly sought after by both entrepreneurs and organizations. 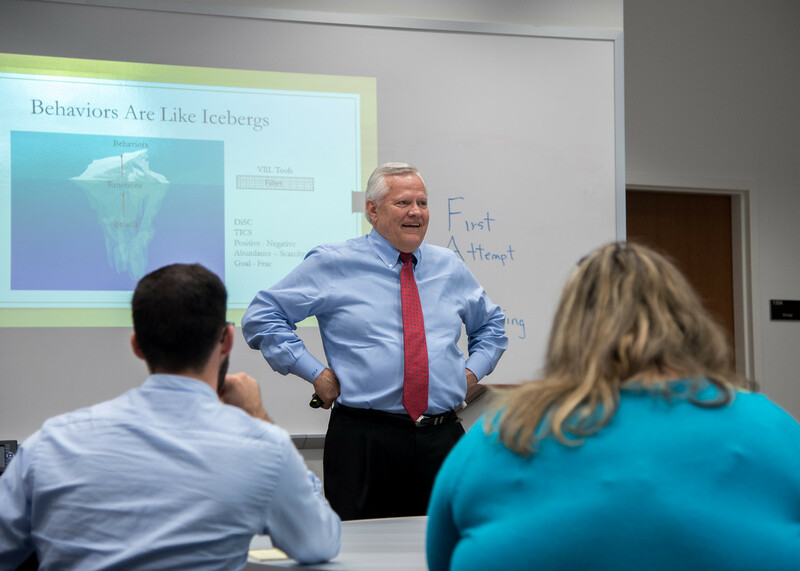 As a result, the College of Business (COB) at Texas A&M University-Corpus Christi hosted a Values Based Leadership Workshop on Oct. 27 featuring Larry Mills, Executive Vice President of Holt companies. 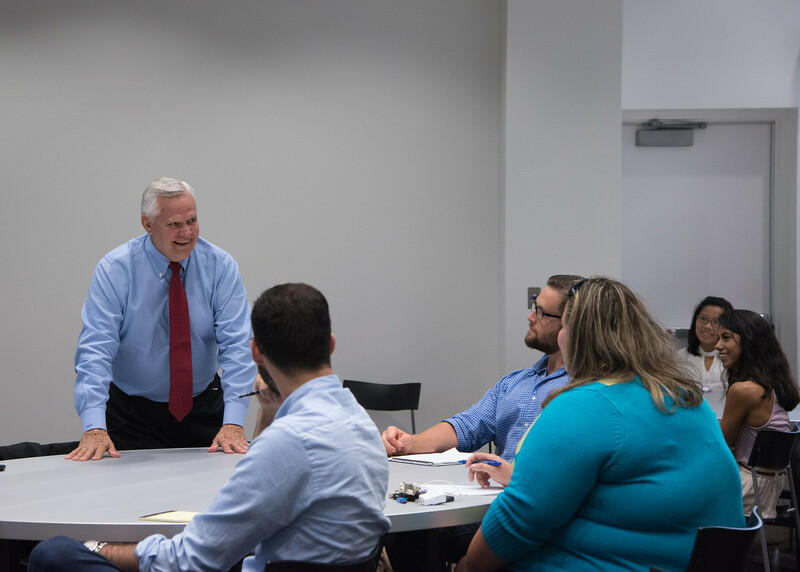 The workshop was open to members of Islander business student organizations and the Student Government Association who wanted to hone their leadership skills, map out their career paths and make a meaningful impact in their communities. Values based leadership is rooted in the belief that a well-defined set of ethical values is the foundation for true success. 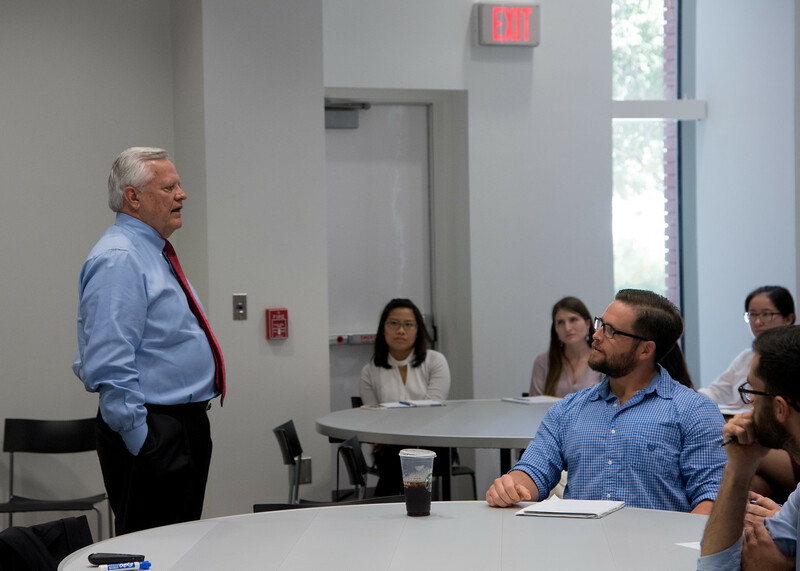 For Jacqueline Ibarra, a business administration management major, the workshop was a great opportunity to hear from an accomplished businessman and gain inspiration to work hard in her future career. “What many do not realize is that the majority of improvements and innovations in a company often stem from the bottom up,” said Ibarra. Mills, whose areas of focus include strategic planning, marketing, leadership development and organizational development, was excited to share from his wealth of experience. Holt companies are comprised of HOLT CAT, one of the world’s largest Caterpillar dealers and the five-time NBA Champions San Antonio Spurs. 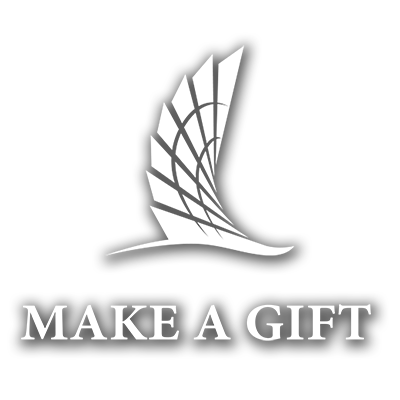 Mills also serves on the board of directors for the San Antonio Spurs, Children’s Hospital of San Antonio Foundation and St. Mary’s University.